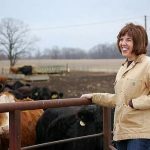 Ann Hazlett is moving to the White House from the Department of Agriculture. Last Week, USDA announced that Hazlett will assume the role of Senior Adviser for Rural Affairs in the White House Office of National Drug Control Policy. Hazlett has served as the Assistant to the Secretary for Rural Development at USDA since June 2017. In her new role, Hazlett will help shape policy aimed at improving the quality of life in rural America, coordinate interagency efforts on drug control activity impacting rural communities, and build coalitions and grassroots strategies centered on prevention, treatment and recovery. Hazlett previously led USDA’s efforts to build infrastructure for prevention, treatment and recovery in rural communities.